You’re building your home or remodeling and you can’t wait for work to finish so you can move in and enjoy it. One final job on most sites is painting. Painting can beautifully transform the look and feel of your home. But don’t let your paint job lead to something so much worse. Taking a few minutes to clean up after your painting job, especially if you have oily rags, can prevent your dream home from going up in smoke. Unsure of how such a small thing like oily rags could be the difference in your dream home and fire trap? 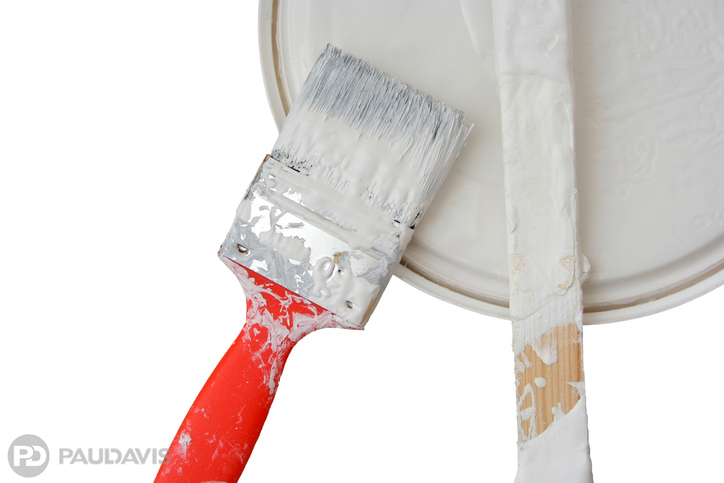 Read about one home was lost simply do to not properly disposing of painting supplies. The fire occurred when a newly constructed home was having beautiful faux-painted walls added as a final decorative touch. Oily rags left behind at the job site were ignited, fire investigators concluded, by either a discarded cigarette, or a switch on a working light. The damage was immense. In the newly constructed but not yet occupied home, the smoke and fire were heavily contained inside the airtight space. The fire went on for quite some time until a neighbor noticed the smoke seeping out of the windows. Imagine if the neighbor hadn’t noticed. With an insurance reimbursement of $96,745, it became even more complicated since it was a newly constructed home. Subrogation between the builder’s policy, homeowner’s policy, and the painter’s policy took quite some time to determine. The full loss was covered for demolition, whole house deodorization, and cleaning. Smoke and fire damage to all interior finishes, as well as replacement of insulation, new electrical wiring, and fixtures and structural building materials was necessary. When your home turns into a job site, you need to make sure that your painters and other workers clean up after their work each day. Flammable items need to be properly disposed of each day to prevent the risk of fire. Do your research when you hire and choose subs that are properly licensed and are paid up-to-date on their insurance (fully insured for property liabilities and workman’s comprehensive coverage). Take small steps such as looking around each day in order to prevent a fire hazards. Prevention plays a key role in lowering your fire risk and keeping your home and family safe.